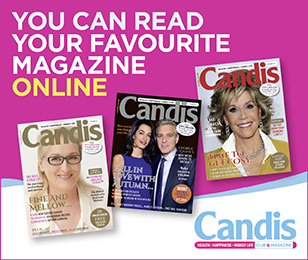 Win with Candis! See below for a whole host of exciting competitions. We have four bedding bundles up for grabs worth £120 each. Win a luxury Scottish break worth £800! We’re so excited that we’ve teamed up with Hotpoint to offer you the chance to win this incredibly stylish American-style fridge freezer worth over £1,400. We’ve a two-night stay for two to be won at the luxuriously understated, family-run hotel the Bella Luce, in a Classic Luxury guest room, worth more than £850. We’ve teamed up with Stiga to give away one prize comprising a Hand-Propelled Sweeper and a Pressure Washer worth more than £800! Win one of Mammoth's new Prestige Express 22 mattresses worth up to £1,399!